Step 1: Position the neck on the body according to your design and align the body and neck center-lines perfectly. I used a laser to check the accuracy. Once the neck is perfectly aligned, trace the outline of the neck onto the body. Use a fine pencil and trace very closely and precisely. Step 2: Remove the neck and make sure the traced outline is clearly visible. Using a Forstner bit, remove the majority of the wood within the traced area. You can use a drill but a drill press will make it much easier. Stay clear of the edges, those will be cleaned-up with a router. You should know how deep to carve based on your design. 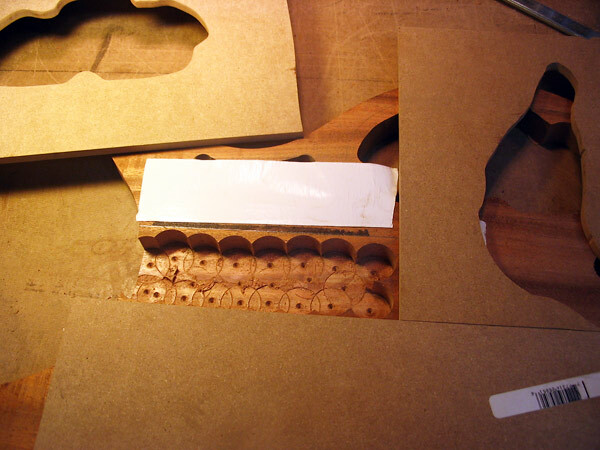 Step 3: Using double-sided tape, place MDF (or another wood) around the outline to create a template of the pocket. 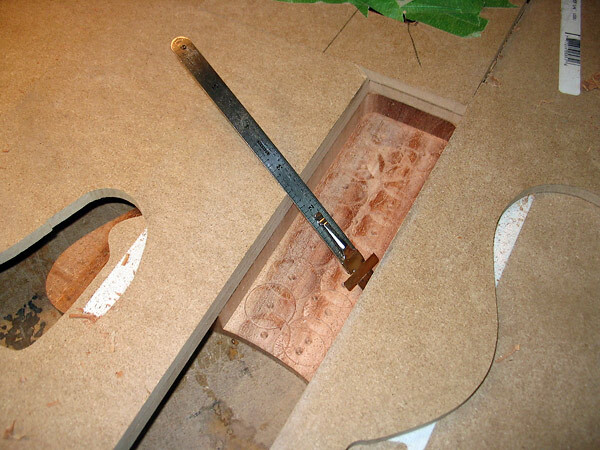 The template should be flat and have at least 1/4″ thickness. 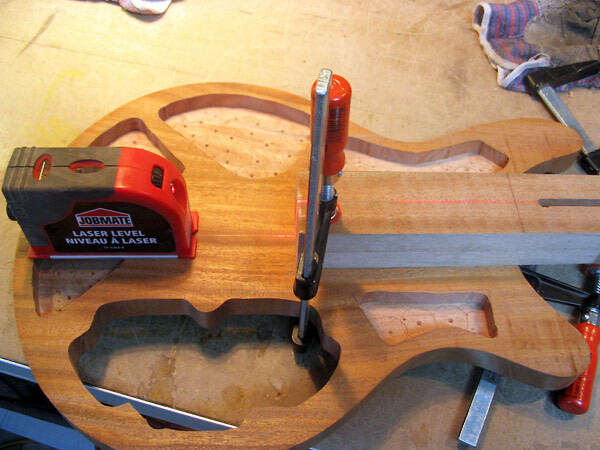 Now use a router with a top-mounted ball bearing that will glide along the template to clean-out the pocket sides. 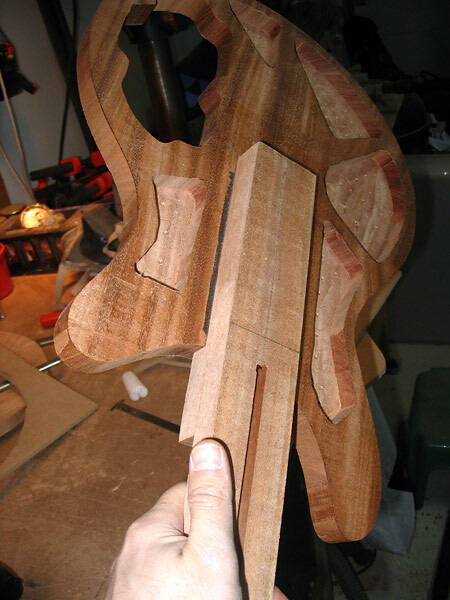 Make sure to be very accurate in the placement of the template and the routing of the sides because removing too much wood will make the pocket too big and the neck will not sit properly. Step 4: Now test the fit by fitting the neck inside the pocket. If everything went well, you should be able to hold the body by the neck. That’s a perfect fit! Once you are happy with the fit, remove the neck and do not test the fit again if you don’t need to. Too much playing fitting can easily enlarge the pocket just enough to loosen the fit.